She’s getting her ducks in a row! Duck Dynasty star Rebecca Robertson is in the final stages of planning her wedding with fiance John Reed Loflin. Nearly a year after announcing their New Year’s Eve engagement, the adorable duo shares their new engagement photos exclusively with The Knot. 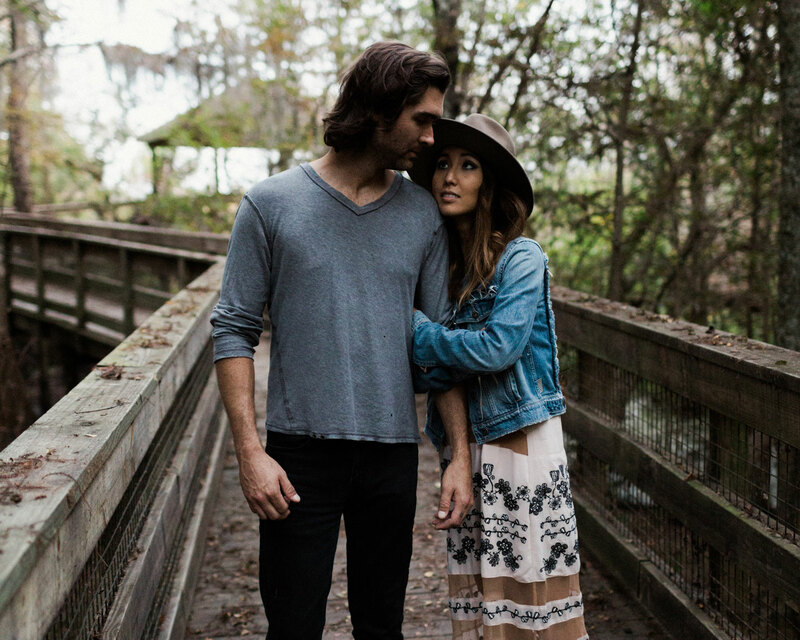 Photographer Andrew Abajian captured the couple’s love for each other in gorgeous images taken at Black Bayou Lake in Monroe, Louisiana. The romantic outdoor session took place on October 24, which was also the birthday of Rebecca’s mother, Korie Robertson. 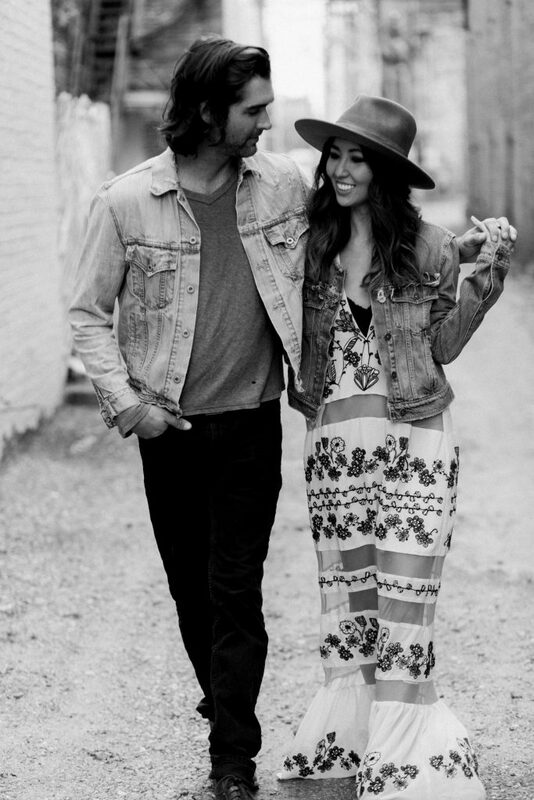 The photos feature the bride-to-be, 28, wearing a bohemian-style dress with a denim jacket and a wide-brim fedora, while her future husband looks handsome in black jeans, a casual top, and a faded jean jacket. If their proposal photos and engagement shoot are anything to go by, Rebecca and John will undoubtedly infuse plenty of romantic touches into their upcoming wedding. For his New Year’s Eve proposal, John chose a Florida beach to ask Rebecca to be his bride. Post-proposal, Rebecca couldn’t wait to share her blissful news with fans. She shared a photo of the duo looking out over the water with the words, “2016 OUR STORY STARTS HERE,” written in the sand behind them. “Our story starts here…I said yes to my best friend for life,” she captioned the sweet image. John memorably proposed with a stunning, nontraditional engagement ring. He enlisted the expertise of Chicago-based jewelry designer Lindsay Lewis to create the opal bauble, which is accented by gray and white diamonds. Now, less than a month before walking down the aisle, Rebecca is checking off her list of pre-wedding tasks. She recently posted a snap of her beautifully-packaged wedding dress, which had just arrived in the mail. She also shared a shot of she and her fiance after completing their wedding registry. Rebecca joined Duck Dynasty at the start of the show’s fifth season. 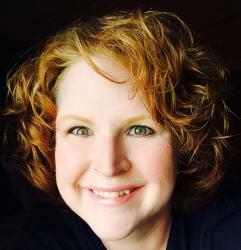 She first visited the Robertson family as a foreign exchange student, and later became their foster daughter. After graduating from Louisiana State University with a degree in fashion design, she temporarily moved to California for an internship in the fashion industry. Soon after starting her blog, Rebecca opened a modern Louisiana boutique, Duck & Dressing, back in 2013 with her mom, Korie. Duck Dynasty airs Wednesdays at 9 p.m. ET on A&E. 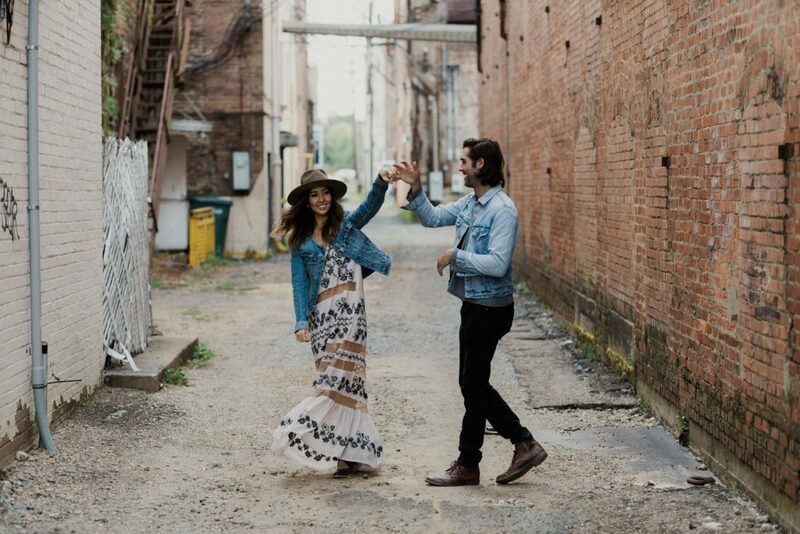 Be the first to comment on "Inside ‘Duck Dynasty’ Star Rebecca Robertson’s Romantic Engagement Photo Shoot"